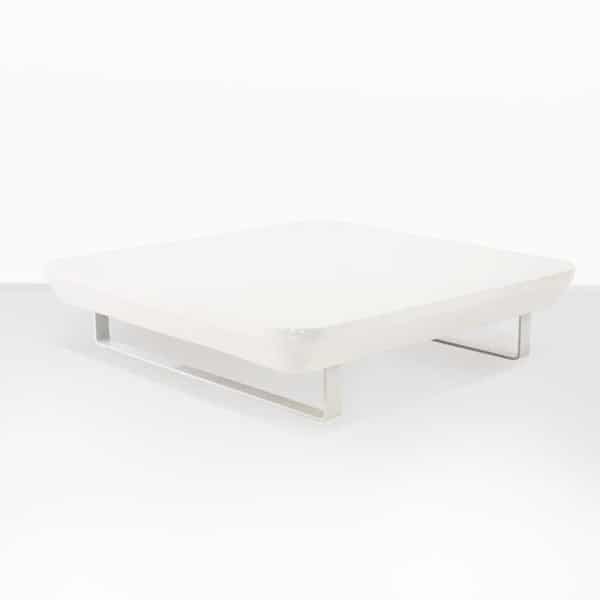 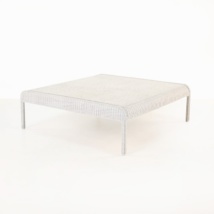 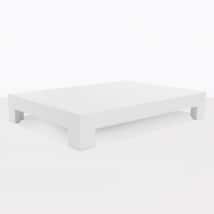 Reaction coffee table offers a perfect addition to any outdoor space, whether it matches the gorgeous flat, glossy, stylish ultra-contemporary looks of the piece or not. 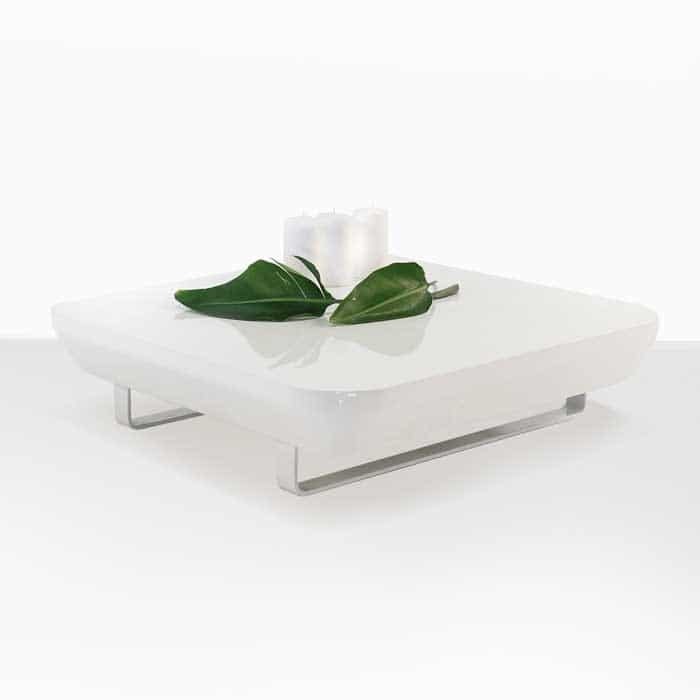 This spectacular piece is sophisticated and clean, and still manages to fit perfectly with many other styles, offering a perfect accessory option for any room or space. 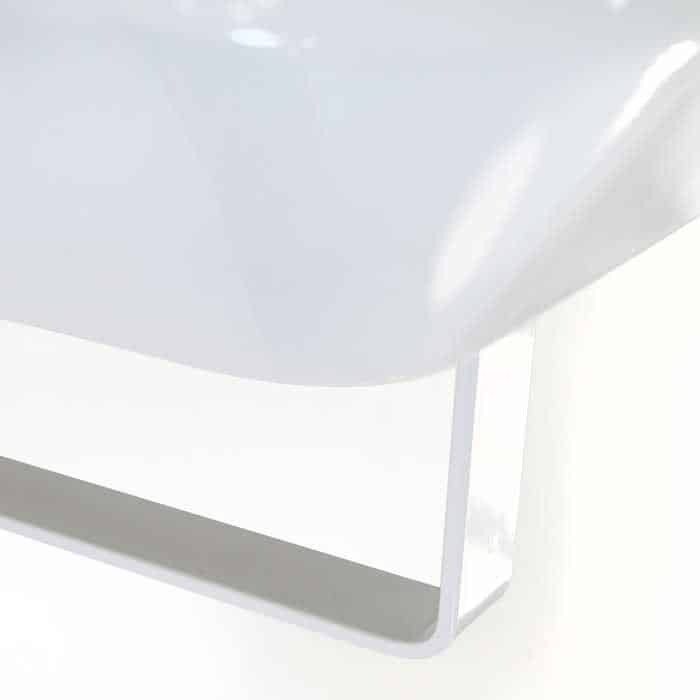 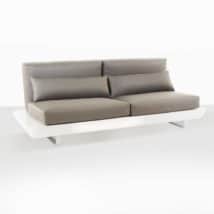 The striking, low stance of the table is achieved through stylish, flat powder-coated aluminum legs with a tabletop that is made from a beautiful wide, smooth gel-coated fiberglass in a stark white shade. Rounded corners offer certain softness to allow this piece to be used anywhere you want. 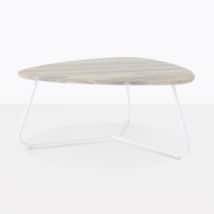 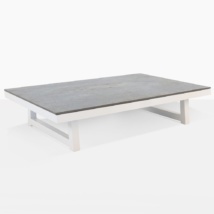 The large tabletop provides a utility you often cannot find with such a stylish accent piece. 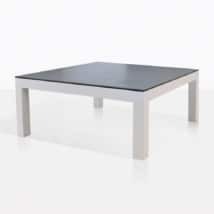 W47" x L47" x H11.5"